We have a great team of Vets, Nurses, Assistants and support staff. 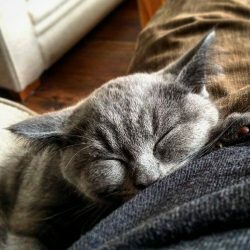 Their main goal is the welfare of your pet and serving you in a way that provides the best possible experience. Michelle qualiﬁed from Liverpool university in 1998 and worked for 1 year in mixed practice in Gloucestershire. She joined Tremain Veterinary Group as a small animal vet in 1999. 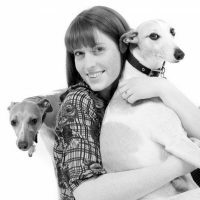 She studied and completed her post graduate General Practitioner Certiﬁcate in Small Animal Practice in 2003. In 2010, with her colleague Jane Baily, she became a co-director of the practice. Michelle enjoys all aspects of the job and has a keen interest in soft tissue surgery. In her spare time, Michelle enjoys having fun with her family, listening to music, reading and cycling. She has a one-eyed cat called Puggie, which she rescued from the practice. 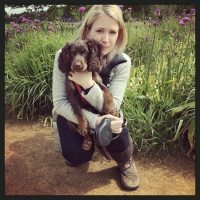 Jane joined Tremain Veterinary Group on a permanent basis in 2006 after working for the practice previously as a locum. She has worked in Thailand, Devon and Lincolnshire. In 2010, with her colleague Michelle, Jane became co-director of the practice. She enjoys the challenges of combining clinical work with the business aspect of the practice. In her spare time, Jane enjoys cycling, walking her dog and spending time with family and friends. She has a cocker spaniel called Bear and a rescue cat called Billy. Lotty qualified from Liverpool University in 2012. She has in worked in mixed and small animal practice since then. In her spare time, Lotty enjoys walking her dogs, horse riding, pottery and drawing. Lottie has two whippets, Riley and Jake and a cat called Harold. 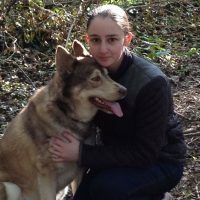 Erza qualified from Budapest, Hungary and joined Tremain Veterinary Group in 2017. 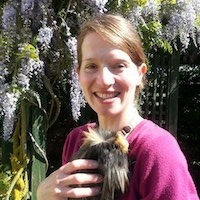 She has worked in Hungary and in Wales in small animal practice. Erza enjoys both medicine and surgery and has a particular interest in rabbits. In her spare time, Erza enjoys spending time with her family and friends. She likes reading and is a keen gardener. Erza has a rabbit called Herceg. Leena first started work at Tremain Veterinary Group in 1995 as a part time receptionist whilst still in full time education. 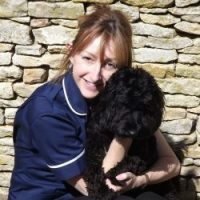 She undertook her veterinary nursing training whilst working at the practice and qualified in 2002. Leena was the first veterinary nurse to be trained through the practice. She took a career break in 2006 to start a family and returned to us in 2011 on a part time basis. Leena enjoys the constant variation that the job presents and has a keen interest in animal welfare. In her spare time Leena enjoys spending time with family and friends. She has rehomed a lovely stray cat through the practice called Betty and has a lovely dog called Henry. 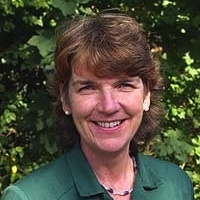 Vanessa qualified in 1995 in Yorkshire and moved to the Cotswolds in 1997. 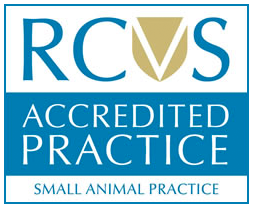 She has worked in small animal veterinary practices in and around Oxfordshire and Gloucestershire since then. Vanessa enjoys all aspect of nursing but particularly enjoys patient care and medical nursing. 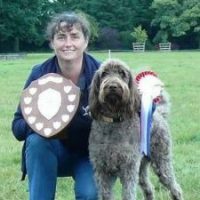 Having always had a keen interest in animal behaviour, she gained a COAPE diploma in companion animal behaviour and training in 2009. In her spare time, Vanessa enjoys baking, gardening and walking her two labradoodles called Alfie and Doodles. Together, Vanessa and Alfie train and compete in flyball. Nurse – currently on Maternity leave. 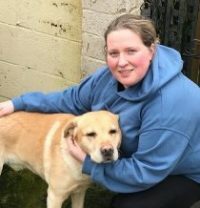 Rachael qualified as a veterinary nurse in 2003 and joined Tremain Veterinary Group in 2007. She has since qualified as an Amtra SQP. Rachael has an interest in animal behaviour and enjoys interacting with clients and their animals. 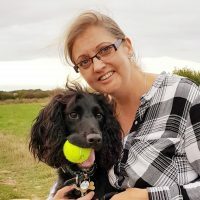 In her spare time, Rachael enjoys walking her dog and socialising with friends and family. Rachael has a dog called Amy, a cat called Ruby and two Siamese fighting fish called Blue and Lightning. Most of her pets have been rescued from work! 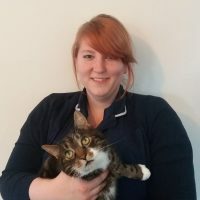 Kerry has spent several years gaining experience at a practice in Abingdon before joining Tremain Veterinary Group in Autumn 2013. She is now a fully qualified veterinary nurse. Kerry is our resident health and safety official and enjoys setting the fire alarm off a regular intervals. She has a husky cross labrador called Nala, which she has had since a puppy. 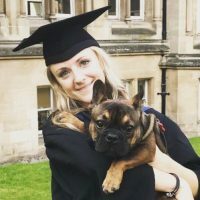 Lydia qualified from Nottingham Trent University as a veterinary nurse in July 2017. She started work at Tremain Veterinary Group in November 2017. She enjoys all aspects of the job. In her spare time, Lydia enjoys gardening, knitting and baking. Lydia has two dogs, a cat, two guinea pigs, chickens and a range of reptiles including snakes, bearded dragons and geckos. Paige moved down to Witney in Jan 2017 to work as a veterinary nurse assistant. 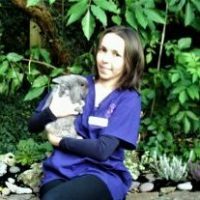 She joined Tremain Veterinary Group took in June 2017 as a receptionist. The majority of her education has been animal care related. Paige has a degree in zoo management. She has now begun her nurse training. She is a huge cat fanatic and has three cats. 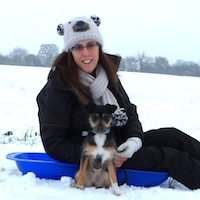 Debbie joined Tremain Veterinary Group in 2008 and has lived in and around Witney all her life. She has two children and enjoys swimming and cycling. Debbie regularly volunteers at a local falconry centre and enjoys sharing her knowledge with the rest of the practice. Debbie has an Asian brown wood owl called Buzz and an American kestrel called Bobs. 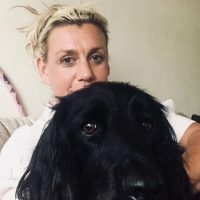 She has recently adopted Archie a gorgeous black mischievous cocker spaniel. Charlotte qualified as a veterinary nurse in 1975 and worked in a large, busy mixed practice on the Hertfordshire/Essex border where she met Graham. Charlotte sat on the British Veterinary Nurse Association Council for a period in its earlier days. A move to Herefordshire and then Somerset followed and Charlotte and Graham joined the practice in 1986. Having raised a family, she now works part-time and enjoys meeting our clients. 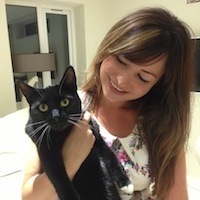 Bea joined Tremain Veterinary Group in March 2014 as a part-time receptionist based at our Witney surgery. She now works four days a week, two days a week at both the Witney and Carterton surgery. Bea particularly enjoys meeting all the patients in the waiting room and chatting with their owners. In her spare time she enjoys photography and is a member of a local camera club. Bea also enjoys walking in the country with her dog and camera. She has a Cockapoo called Molly and threes cats called Charlie, Milly and Sammy. 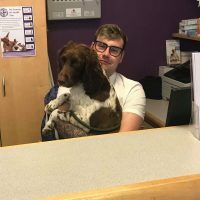 Loren joined Tremain Veterinary Group in May 2017 as a full-time receptionist. She has a love of all animals but has a particular interest in dogs and horses. Loren enjoys going to festivals and spending time with friends. She has a yellow Labrador called Bailey. Jamie joined our team in 2018 as a full time receptionist after previously working as a sales assistant in a pharmacy and as a chefs assistant in a pub. Outside of work Jamie enjoys walking his dogs, going for dinner with friends, sightseeing and horse riding in the countryside. Jamie has 3 dogs Otis, Cleo and a gorgeous working cocker spaniel puppy called Brutus. Claire started work with the practice in 1989 as a Saturday helper and progressed to a full time position when she finished school. She worked as a veterinary nurse for thirteen years and left to have her daughter in 2003. Claire then returned part-time in 2004. After an impressive 29 years working at the practice, she still thoroughly enjoys her job.